Women of the Gobi, by Kate James. Pluto Press, Melbourne, 2006. RRP $29.95, ISBN 1864033 290, website. 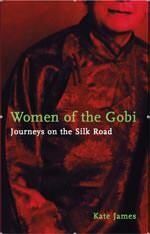 Kate James’ Women of the Gobi is a wonderful, personal journey along the Silk Road. James, a Lonely Planet editor, grew up in an evangelical family. Originally from Melbourne, she spent seven years in India with her family as a child. Upon returning to India, years later, she came across the writings of three women; Francesca and Eva French, and Mildred Cable. The three women, known as the Trio, traveled the length of the Silk Road, traversing it five times between 1923 and 1936. Along the way, they founded numerous Christian communities, adopted a deaf Mongolian girl and established refuges for the wives of opium addicts. Upon discovering the books by the Trio, James found a purpose—she resolved to follow in their footsteps, in the hope of giving some purpose to her own aimless wanderlust. 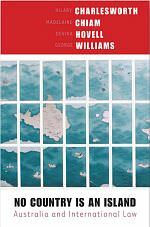 The novel ranges over her reflections on what life must have been like for three women, on donkeys, in a part of China still barely known to the west; James’ own experiences in modern day China, and her small victories and defeats as she makes her way from town to town, meeting helpful and unhelpful people along the way; and finally, the novel also addresses, with a great deal of sensitivity, James coming to terms with her own experience of evangelical Christianity. The success of this novel is that it manages to mix and cross genres with ease. The narrative breaks from James’ ruminations on the experiences of the Trio, to her own personal trials and tribulations on the road, to her thoughts on her own life, all with an easy style. The movement from one subject to the next serves to invigorate the novel, and keep the reader turning the pages. Just as one becomes fascinated by the struggles Chinese Christians faced at the turn of the 20th century in the time of the Trio, she will leap to a description of the conditions faced by Jesuits in China 400 years ago, and then on to the troubles faced by Christians in modern China. The lives of the rarely mentioned Uyghur Muslims in modern day China are also discussed—the central government in modern China has oppressed this former majority in much the same way as Tibetans have been oppressed, though with much less press coverage. James’ novel is a lovely, personable, informed book. The author’s own persona in the book is not intrusive—if anything, she is too humble in describing herself, and always ready to see things while "standing in someone else’s shoes". Highly recommended, especially for those with an urge to take a road less traveled. 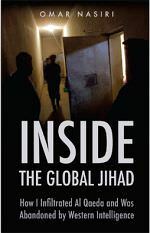 Inside the Global Jihad, by Omar Nasiri. Scribe Publications, Melbourne, 2006. RRP $32.95, ISBN 1921215 097, website. Omar Nasiri’s book is significant for a number of reasons. A vast range of ideas have emerged amid the torrent of books published post-September 11, seeking to analyse the ‘terrorist threat’ faced by the west. Speaking broadly, these ideas can be divided into two camps. The first is the ‘Clash of Civilisations’ camp—those commentators and analysts who fall in behind Samuel Huntingdon’s idea which posit an inevitability to the current ‘War on Terrorism’, due to Islam’s ‘bloody’ nature. The second camp is the ‘root causes’ camp. Commentators of this persuasion do not see the world as divided along ‘The West and the Rest’ lines, but rather assume a more relativist position, which also takes into account such things as the after-effects of colonialism, the injunctions of various branches of Islam, and the peaceful nature of the vast majority of the world’s Muslims. Nasiri’s book undoubtedly sits in the second camp. While commentators and journalists such as Jason Burke and John Simpson have spent long periods of time in the far reaches of Afghanistan, Iran and other so-called ‘Wild Zones’, what Nasiri manages, and what they could never manage, is an insider's account of life as a mujihadin. Nasiri starts by describing his early life in Morocco, his family’s move to Belgium, his subsequent schooling as a Muslim in a Catholic boarding school, and his return to Morocco, where for a number of years he drifted, dealing drugs to tourists. The return of a devout older brother to Morocco, who brings Nasiri back to Belgium with him, is the catalyst for an amazing series of events. Nasiri’s older brother has fallen in with higher-ups in the GIA (Groupe Islamic Armee), and the infamous Al-Ansar is being printed in his mother’s house. Nasiri enters this world thinking he can play these extremists to his own financial advantage, but he falls foul of the DGSE (France’s equivalent to ASIS) and is soon forced to inform on the extremists. Inevitably, things unravel, and Nasiri winds up in Afghanistan, training to be a mujahid whilst technically still in the employ of the French. The account of life among mujihadin is fascinating. His eventual return to the west, when he moves to London and works for MI6 and the DGSE, is equally fascinating. Nasiri’s reflections on jihad make fascinating reading. His loathing of the west is matched by his loathing of extremists in Algeria. This is a man who, besides receiving weapons training in Afghanistan, also received a comprehensive theological training. Nasiri’s theological musings on the "rightness" of various "freedom fights/terrorist operations" are the most interesting aspect of the book. As he reflects, the Taliban are ‘innovators’, and therefore not real Islamists. Iran is an abomination, as the Shiite are innovators too. Shah Mahmood, the assassinated Northern Alliance general, is a hero, though on the opposite side. The GIA, perpetrators of civilian massacres, far exceeded their mandate. The mujihadin, whom he loves, and to whom he belongs, in his heart, even as he serves the west, are hypocrites, because they fight with the weapon—the Uzi—of the most-hated, most reviled Israel. Nasiri’s account is a complex and worthy book. Nasiri is a very clever man, and an individualist. He is an African Muslim, brought up in Belgium, with traits and values derived from both cultures. Between a sense of community and of individualism, Nasiri vacillates, at home in either culture, but unhappy with both. Not excellent literature, but an excellent story, and an important narrative. No Country is an Island, by Hilary Charlesworth, Madelaine Chiam, Devika Hovell & George Williams. University of NSW Press, 2006. RRP $34.95, ISBN 0868409 065. No Country is an Island is a book that anyone with an interest in international politics should read. Written by four university lecturers, the book addresses how Australia’s Federal Government engages with the treaties, protocols and practices of the international political system. Spanning the influence that international law has on trade, human rights and the environment, to name but three important issues, the book examines contemporary issues as case studies. The treatment of Australia’s entry into the 2003 Iraq war is particularly interesting. The authors outline the prevarication at the time by John Howard and Alexander Downer, as they first claimed to need another UN resolution before the war commenced, then claimed that one was not needed, and then claimed that since Iraq remained in material breach of resolution of 1441, this was all that was needed to act in accordance with UN law. More damning still is the cack-handed response by Labor. Kim Beazley comes across as genuinely having no idea what to think, vacillating between more positions than it is possible to enumerate here. Kevin Rudd hews closely to the strictures of international law, and in so doing was (at least) consistent in believing the war to be ‘illegal’ by these lights. With so much obfuscation at the time, it is fascinating to look back, now that the smoke has cleared, and assess the various players’ positions, and their merits. The efforts to secure a Free Trade Agreement (FTA) with the United States also make fascinating reading. The authors highlight the personal efforts required of the members of the Coalition Cabinet to ensure that the agreement was signed. The FTA would not have been signed were it not for this personal intervention. For the authors of No Country is an Island, this is indicative of the major weakness in the way in which the Federal Government engages in international law. While there is much to recommend the ‘personal touch’ in diplomatic situations, the problem is seen to be a lack of accountability, and visibility, in operating, as the saying goes, ‘behind closed doors'. The authors of No Country is an Island have produced a very worthy book. Whether it is to everyone’s liking is another matter. For those interested in the way in which international law guides, and does not guide, the hand of the Australian Government, this is well worth reading. For those starting out, and wanting to know more, this is required reading. The casual reader, however, may struggle to engage with this book, as it is dry, and heavy on the detail. From a western humanist perspective, the advances attempted by the creation of a body of international law are vital to creating a fairer, more equitable world.